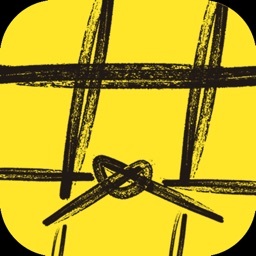 My Hashtag by Oceano Inc. 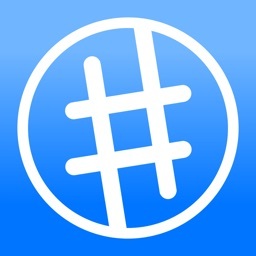 User friendly editor for your hashtags. Tired using memo app to save your favorite hashtags? Say good bye to exhaustive operations like scroll, select, cut, copy and paste. This app helps you to keep and manage your set of favorite hashtags you really want to use with your post! 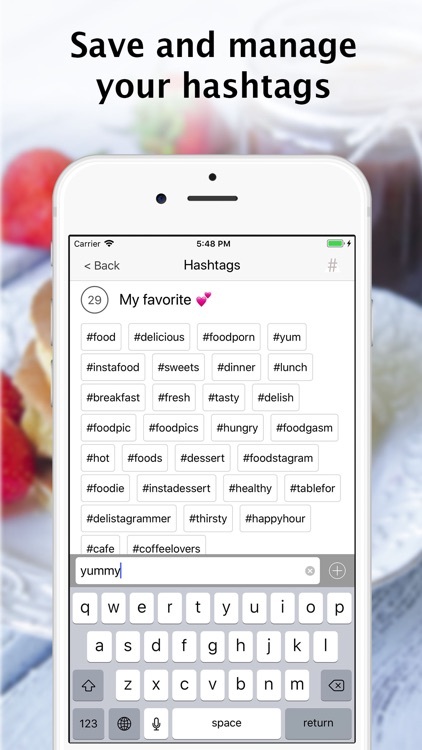 Customizable hashtags with easy to use operations. Add, duplicate, edit, re-order, delete, undo delete hashtags. 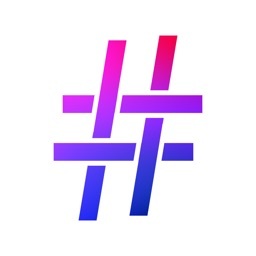 Detect duplicates of hashtags within a group. Copy set of hashtags and paste on your post. Paste multiple words at once to automatically save as hashtags. Appending ‘#’ is not necessary. This app will do it for you. It removes delimiters and spaces automatically which is not usually allowed as hashtag. - Use Return Emoji as break (replaces automatically), or as Emoji as usual (don't replace). 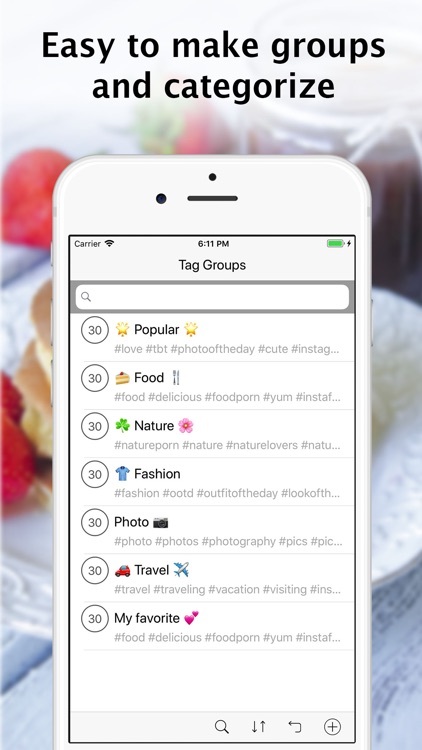 Customizable groups of hashtags for your interest. Add, duplicate, edit, re-order, delete, undo delete grouping of hashtags. 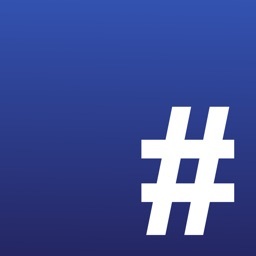 Shows number of hashtags in a group. 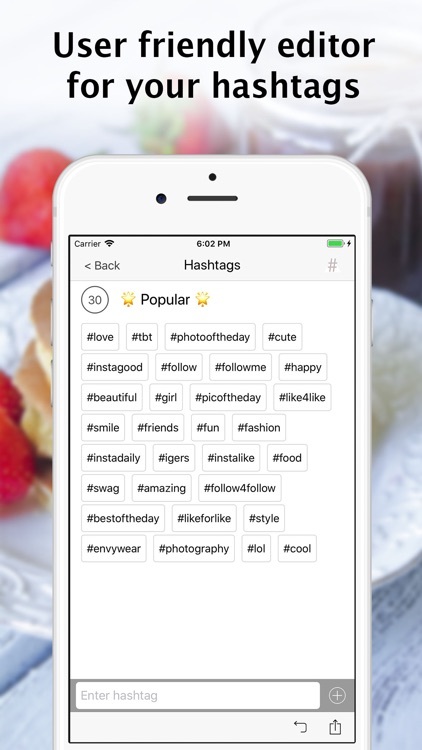 Preset with popular hashtags to boost likes for your post. Switching hashtag to text "mode" allows you to have delimiters and spaces. 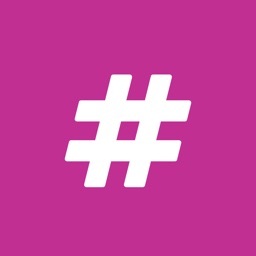 Hashtag and text can be mixed in one group, by changing mode. Group "mode" either hashtag or text can be set. It decides base mode behavior within the group. 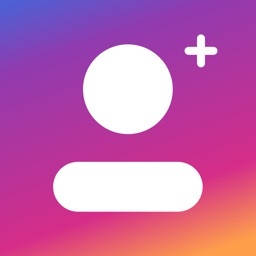 Group mode can be switched by double tap on counter at hashtag screen. You can select hashtag to copy, or deselect not to copy, using filter feature. If you have filtered hashtags, action menu will show "Copy filtered items" button. Using "Copy filtered items" button, filtered and greyed items are not included for copy. URL is detected automatically. Double tap on URL shows "Open with browser" menu. Return Emoji can be used as break (line feed). It can be used in within hashtag or text to insert breaks. Multiple breaks can be inserted.